Enjoy a traditional Afternoon Tea with a chocolate twist during the month of August. Sip on a Chocolate Martini whilst savouring chocolate scones, cakes such as dark chocolate passion fruit and delight with raspberry sphere, milk chocolate baked cheesecake and more. The Chocolate Afternoon Tea is served Saturday’s only during the month of August. Chocolate Afternoon Tea with a Chocolate Martini for four people at the Sheraton Melbourne. The prize is valid for 12 months. The Chocolate Afternoon Tea menu ends on the 25th of August 2018, after this time the prize is valid for the regular Afternoon Tea menu with a glass of sparkling wine. The winner will be selected by random and will need to have answered the question in the form below correctly. Competition closes 4th August 2018, 5pm AEST. 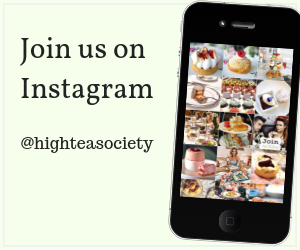 Winner will be announced on the 5th August 2018 at www.highteasociety.com/competitions. Congratulations to the winner Kirsten Bak. 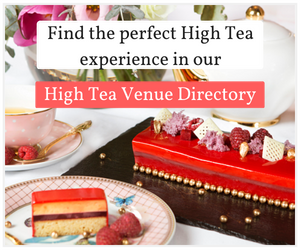 Discover more High Tea Melbourne venues.